It’s shaping up to be a big year for hazard communication in Canada. Health Canada’s alignment between GHS and the Workplace Hazardous Materials Information System (WHMIS 2015) is scheduled for completion during 2018. The June 1 compliance deadline for suppliers is just around the corner, with deadlines for distributors and employers following shortly after. If you’re a manufacturer, importer or distributor of hazardous products, or an employer who uses hazardous products in the workplace, now is the time to ensure you are up-to-date and in compliance with WHMIS 2015 requirements. On February 11, 2015, pursuant to amendments to the Hazardous Products Act (HPA), Health Canada published the Hazardous Products Regulations (HPR). The HPR replaces Canada’s Controlled Product Regulations (CPR) and Ingredient Disclosure List (IDL), and introduces the first significant revisions to WHMIS since 1988. WHMIS 2015 creates a number of new requirements for suppliers, distributors and employers. Major changes to WHMIS contained in the HPR include new requirements for hazard classification, hazard symbols, safety data sheets and product container labels. Hazard Classification – Product hazards must be identified according to the GHS-aligned physical and health hazard criteria defined in the HPR. Products not previously classified as hazardous under the CPR, or whose hazard classifications have changed must be reclassified according to the new criteria. Hazard Symbols – SDSs and supplier labels must include the GHS pictogram(s) corresponding to their WHMIS 2015 hazard classifications. With the exception of the biohazardous infectious material (BIM) symbol, the new GHS pictograms will replace the former WHMIS 1998 hazard symbols. Safety Data Sheets (SDSs) – Suppliers must use the GHS-aligned 16-section format for safety data sheets accompanying their product shipments, replacing the old 9-section MSDS format used under WHMIS 1988. Labels – With a few exceptions, supplier labels must now include a prescribed set of GHS elements that differ from WHMIS 1988 requirements. Workplace label requirements are established at the provincial or territorial level, or under the Canada Labour Code for federally regulated workplaces. Be aware of changes to these requirements as the WHMIS regulations in your jurisdiction are updated. Health Canada had originally slated the first WHMIS 2015 compliance deadline for June 1, 2017. 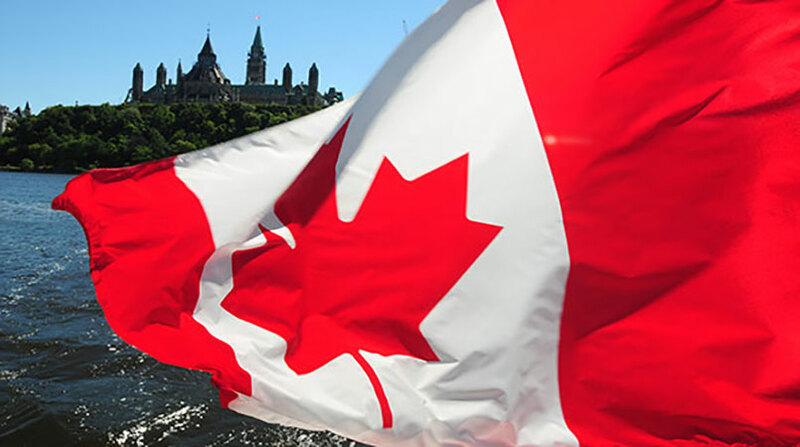 However, concerns from industry stakeholders and Health Canada regarding the processing of confidential business information (CBI) claims prompted the agency to delay the Phase 1 deadline by one year to develop and consider proposed amendments to the HPR. The proposed amendments would, in part, re-instate the use of prescribed concentration ranges that are currently prohibited under the HPR. The proposed amendments were published in the Canada Gazette I on October 21, 2017 and the period for public comment has closed as of November 20th. At of the time of this article, the amendments remain under review. Visit the MSDSonline Blog for the latest updates on WHMIS 2015 and the proposed HPR amendments as they become available. *See FTP OH&S laws for effective dates. For example, employers of federally regulated workplaces have a June 1, 2019 deadline versus the December 1, 2018 for non-federal employers. As the June 1, 2018 Phase 1 deadline approaches, suppliers must ensure that product hazards have been classified according to the physical and health hazard criteria set forth in the HPR, and that WHMIS 2015 compliant SDSs and supplier labels accompany each of their products. For suppliers with concerns about the CBI claim application process, Canada’s Workplace Hazardous Materials Bureau (WHMB) has recently published a policy statement clarifying its requirements for what information and materials must be included in suppliers’ application packets. Suppliers should review this document to help ensure their CBI claims meet WHMB requirements. Employers should already be implementing the necessary policies and procedures to prepare their workplaces for WHMIS 2015. This includes maintaining an accurate and up-to-date chemical inventory that documents the identities, uses, hazards and amounts of hazardous products in your workplace. Employers also need to establish systems for managing SDSs, and for making them accessible to workers. This may include reviewing and verifying the use of updated SDSs on a 3-year interval if your workplace is federally regulated, or is in a province or territory that has retained this provision in their respective WHMIS 2015 OH&S laws. Additional systems should be set up for procuring and maintaining both supplier and workplace labels for the hazardous products in your inventory, and for delivering WHMIS 2015 education and training to workers. We understand that getting your workplace ready for WHMIS 2015 can feel like a daunting task, but you don’t have to do it alone. VelocityEHS offers a comprehensive suite of chemical management software products and services to help bring your workplace into compliance with the new requirements. Our award-winning MSDSonline HQ and HQ RegXR Accounts provide powerful, yet easy-to-use chemical management tools including mobile SDS access, SDS Library Updates & Verification, chemical inventory, labeling and regulatory reporting features that simplify WHMIS 2015 compliance while helping you save time and money. VelocityEHS can also meet your SDS & Label Authoring needs, and offers a wide range of Regulatory Consulting Services including CBI claim registration support to help you navigate your WHMIS 2015 requirements quickly and confidently. Our in-house team of chemical safety and regulatory experts will work with you one-on-one to ensure you have the resources you need to succeed.